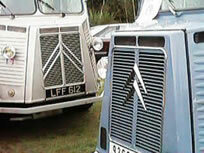 2CV Rallyers met at Headley. Tents were set up in a camping area, which was in a pretty wooded area. We had a BBQ and drinks in the evening, entertained by an accordion player. The next day started with hot barbecued breakfast, tea and coffee. 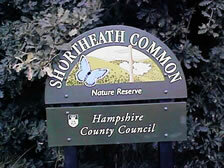 We moved on to Shortheath Common in nearby Oakhanger for the rest of the day's activities. Finally, it's Goodbye to James the Tank Engine and all the other 2CVs until the next time.